J – Happy Thanksgiving! Right now, I’m listening to the sounds of sizzling turkey as it roasts away in the oven (more on that tomorrow). Ines was in charge of the centerpiece this year, so I took it upon myself to make my favorite part of Thanksgiving: the pies. 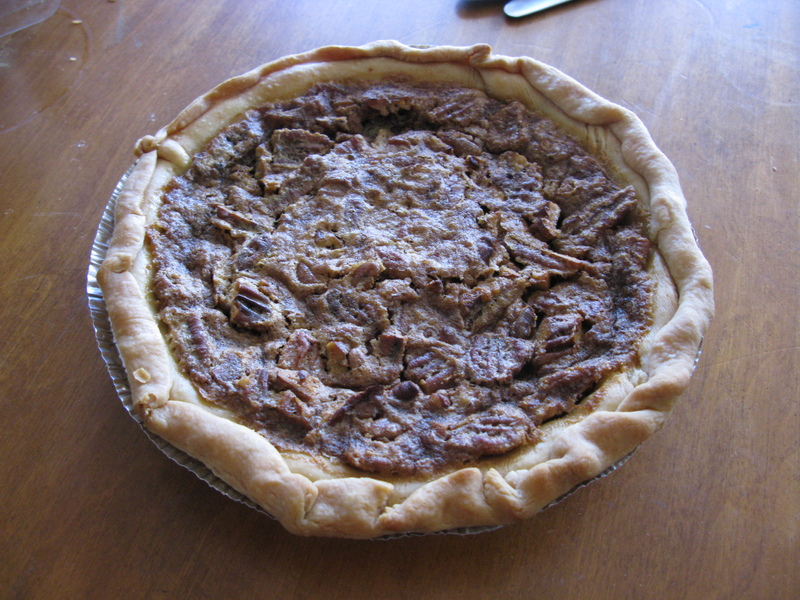 I made two this year, a pumpkin pie (a must-have) and a chocolate bourbon pecan pie, or a chocolate derby pie as they’re apparently called. First, the recipes. They’re very similar, but I hate making pie crust more than almost anything else in life. I used store bought, and you know what, it tasted just fine to me. 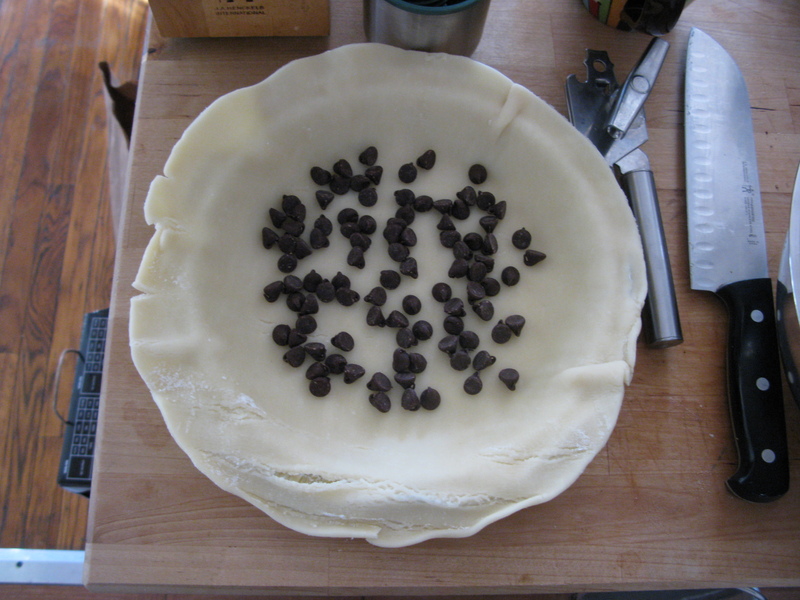 Next, line your pan with the pie crust (remember, never grease pie pans) and line the bottom of the crust with chocolate chips. I used a cheap disposable pan for this pie, but just know that they’re terrible. 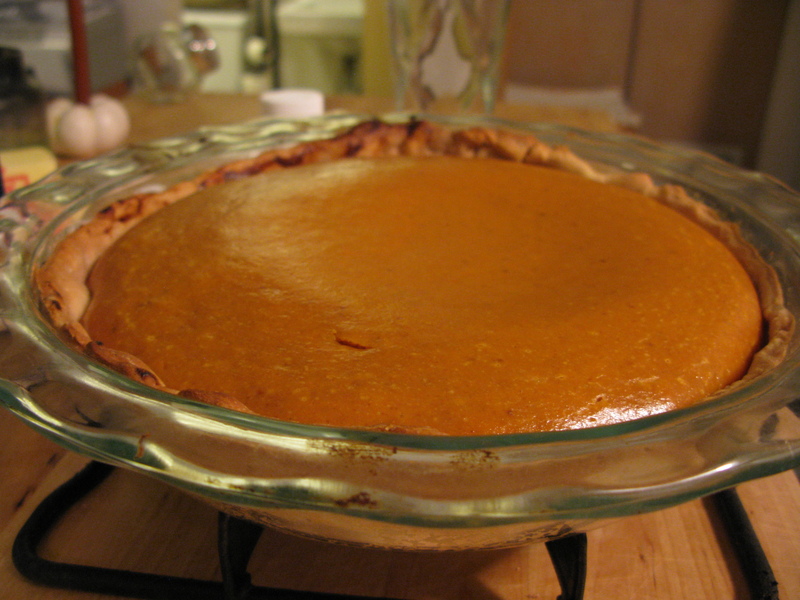 Use a Pyrex pan if you have one – we do, but just one, and it was reserved for my favorite pie, pumpkin. Pour in the filling but pour it in slowly, otherwise you will scoot the chips around and have parts of the pie with too much or too little chocolate. Pop it in the oven at 425 for 10 minutes, then 350 for 30 minutes or until a knife tip about 1-2″ from the edge comes out clear. Don’t test the center! If the center is clear by the knife test, the edges will be burned. 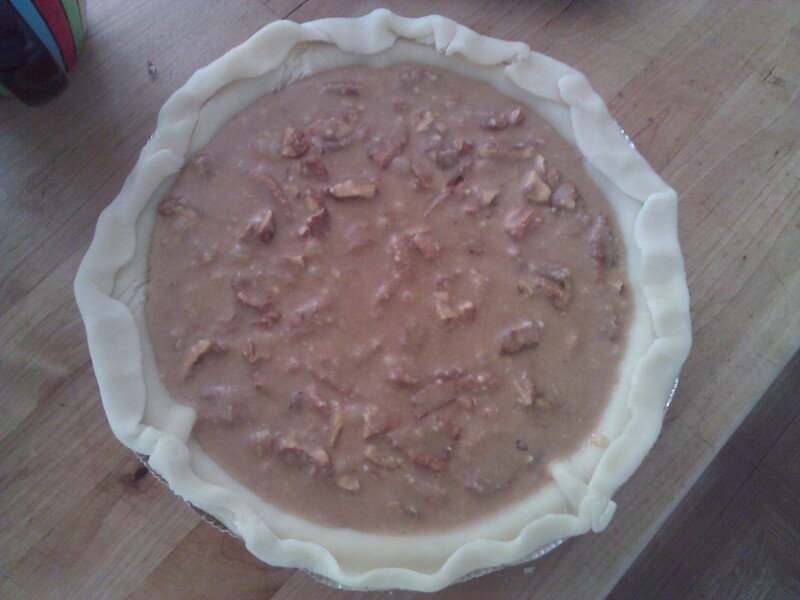 The pie will cook for about 15 minutes after you take it out, so the center will set. If you have problems with burnt edges on your pies, you can cover the exposed dough with foil strips (or just cook at a lower temp – they shouldn’t burn). 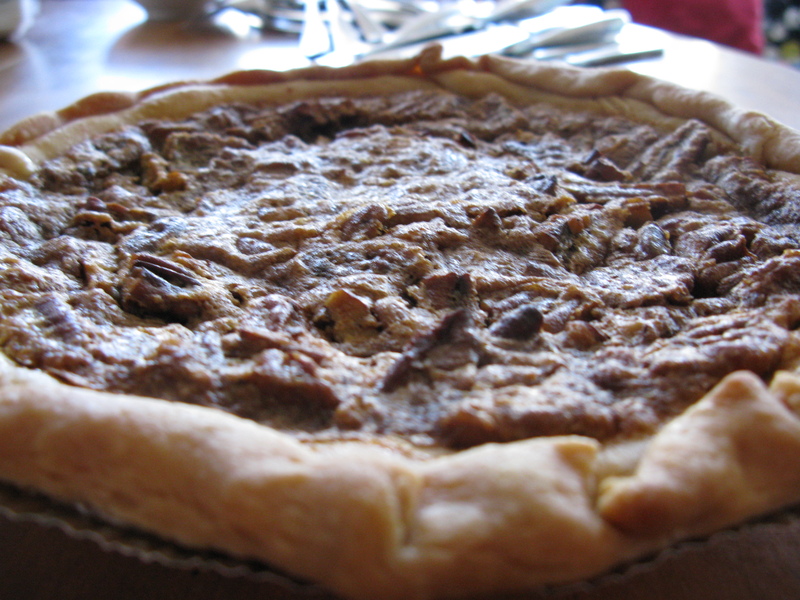 This pie is really, really easy. 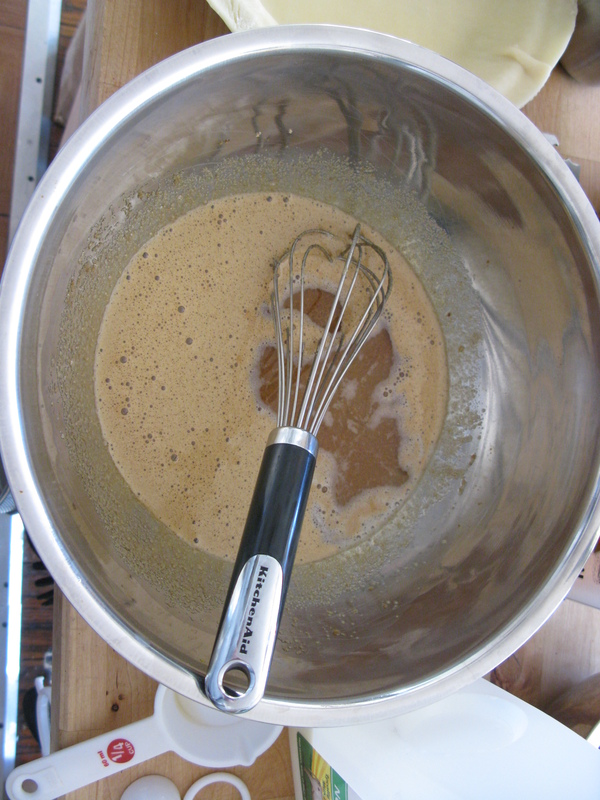 First, combine egg, egg yolks, and pumpkin puree in a mixing bowl. 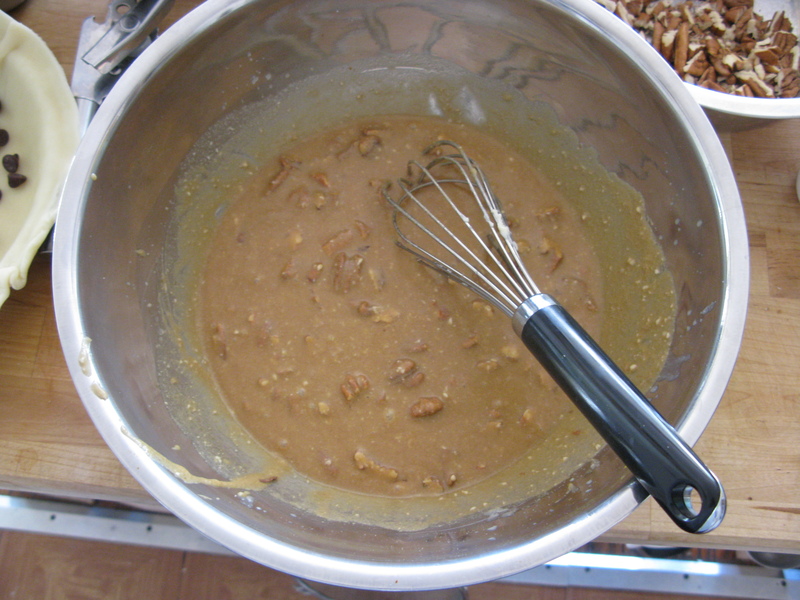 Next, add the condensed milk, mix, and add the dry ingredients (spices and salt). 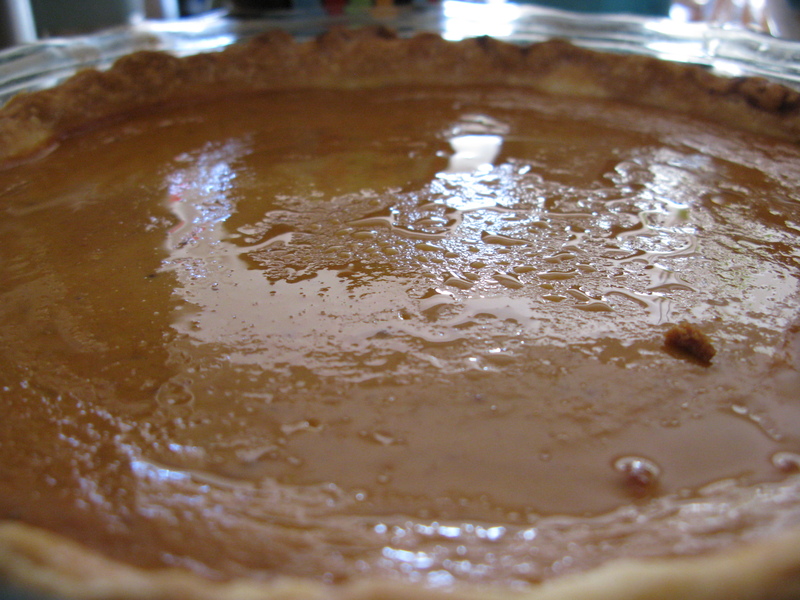 Combine, pour into your 9″ pie pan with the crust already in, then bake at 425 for 10 minutes, reduce to 350, and bake for another 30 minute or until a knife tip inserted into the pie about 1-2″ from the edge comes out clear. I prefer cool or room temperature pie with whipped cream, but you can serve warm too – just let it sit for about 30 minutes after it comes out or you will have a mess on your hands. Literally easy as pie. Happy Thanksgiving! 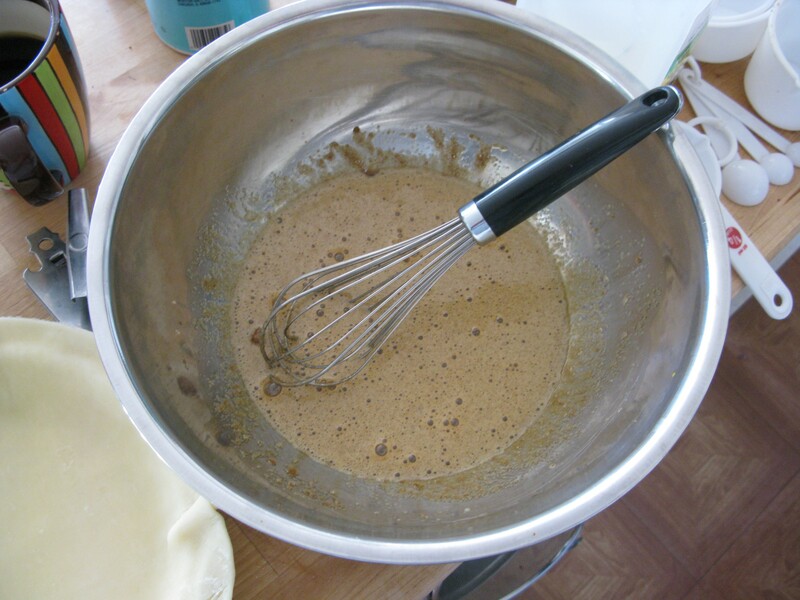 This entry was posted in Baking by Jeff. Bookmark the permalink.